After taking the Armed Services Vocational Aptitude Battery, you will receive a report with all your scores on it. These scores include your Armed Forces Qualification Test (AFQT) score as well as your scores on each of the 9 individual subtests that make up the ASVAB. When you get your report, the most important score you will want to look for first is your AFQT score. This score determines your eligibility to serve in the military and to enlist in the U.S. Marines you need to have achieved a score of at least 32. If you have a GED instead of a high school diploma you will need to score at least 50 to qualify for enlistment in the Marines. One thing to keep in mind as you look at all of your scores in the report is that each score is expressed as a percentile. This means that if you scored a 65 on the Electronics Information subtest you performed as well or better than 65 percent of the men and women in your age group who took the test. • Electronics Repair, Missile Repair, Electronics & Communications (EL) – General Science (GS), Arithmetic Reasoning (AR), Mathematics Knowledge (MK) and Electronic Information (EI). • General Maintenance, Construction, Utility and Chemical Maintenance (MM) – General Science (GS), Auto & Shop (AS), Mathematics Knowledge (MK) and Electronics Information (EI). • General Technical, Special and Officer Programs (GT) – Verbal Expression (VE) and Arithmetic Reasoning (AR). Verbal expression is the combination of the Word Knowledge and Paragraph Comprehension subtest categories. If you want to follow one of the above career tracks, you will want to make sure that you perform well in the associated subtest categories. Failure to do so could mean being stuck in a career track that you don’t enjoy or that will not benefit you later. One more thing to remember about your ASVAB scores, the higher they are the greater your career options and the higher your chance of receiving enlistment incentives, including bonuses. If you feel your ASVAB scores don’t match your education, training and experience and a Marine recruiter agrees with you, you can retake the ASVAB. You can also retake the ASVAB if your previous test results are expired. However, a retest can’t be scheduled solely because your scores didn’t meet those required for enlistment options or programs. That means you should take your first test with the utmost seriousness and be sure to study thoroughly. One effective way to study is to take online practice exams like those offered here on this website. 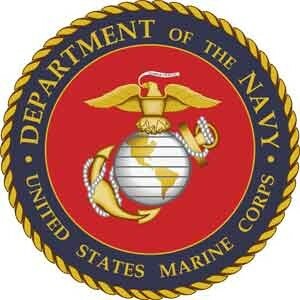 Jobs in the Marine Corps are referred to as”MOS” (short for Military Occupational Specialty). To find the MOSes you qualify for, the Marine Corps organizes your ASVAB subtest scores into various groups known as line scores. The ASVAB subtests are: General Science (GS); Arithmetic Reasoning (AR); Word Knowledge (WK); Paragraph Comprehension (PC); Numerical Operations (NO); Coding Speed (CS); Auto and Shop Information (AS); Mathematics Knowledge (MK); Mechanical Comprehension (MC); Electronics Information (EI); and Sum of Word Knowledge and Paragraph Comprehension (VE). It’s important to remember that as Numerical Operations (NO) and Coding Speed (CS) subtests are phased out, some line scores may be updated. Note: Use the data listed below as a general guide to help you determine the minimum ASVAB scores required for each MOS (Military Occupational Specialty). See the table below for Marine jobs and the corresponding minimum ASVAB line scores. 4.07 out of 5 based on 19 votes.